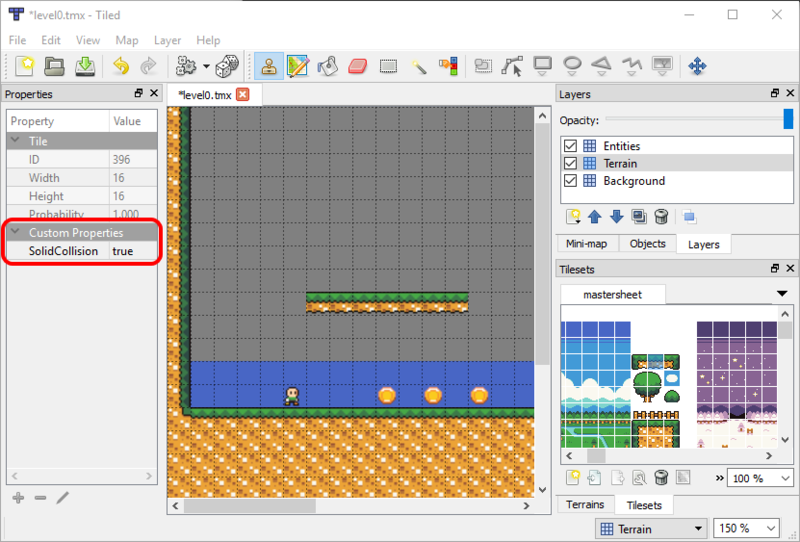 This guide discusses implementation details in the Coin Time game, including working with tile maps, creating entities, animating sprites, and implementing efficient collision. 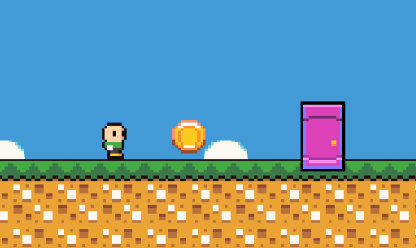 Coin Time is a full platformer game for iOS and Android. The goal of the game is to collect all of the coins in a level and then reach the exit door while avoiding enemies and obstacles. Coin Time is a sample project that represents how a full CocosSharp project might be organized. Coin Time’s structure aims to simplify the addition and maintenance of content. It uses .tmx files created by Tiled for levels and XML files to define animations. Modifying or adding new content can be achieved with minimal effort. While this approach makes Coin Time an effective project for learning and experimentation, it also reflects how professional games are made. This guide explains some of the approaches taken to simplify adding and modifying content. 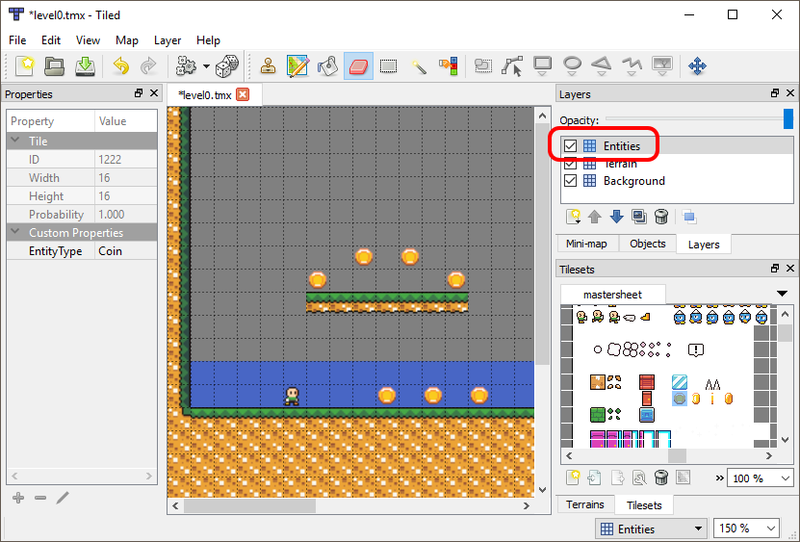 Coin Time levels are defined using the .tmx file format, which is output by the Tiled tile map editor. For a detailed discussion of working with Tiled, see the Using Tiled with Cocos Sharp guide. 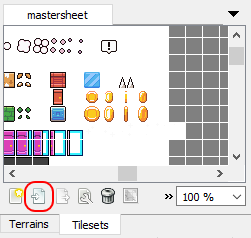 Each level is defined in its own .tmx file contained in the CoinTime/Assets/Content/levels folder. 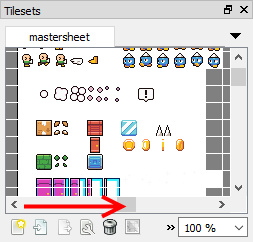 All Coin Time levels share one tileset file, which is defined in the mastersheet.tsx file. This file defines the custom properties for each tile, such as whether the tile has solid collision or whether the tile should be replaced by an entity instance. 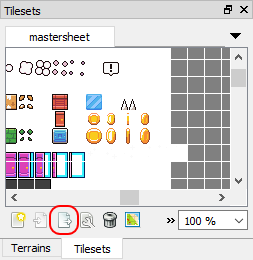 The mastersheet.tsx file allows properties to be defined only once and used across all levels. Entities – this layer contains tiles which will be replaced with instances of entities at runtime. Examples include the player, coins, enemies, and the end-of-level door. Terrain – this layer contains tiles which typically have solid collision. 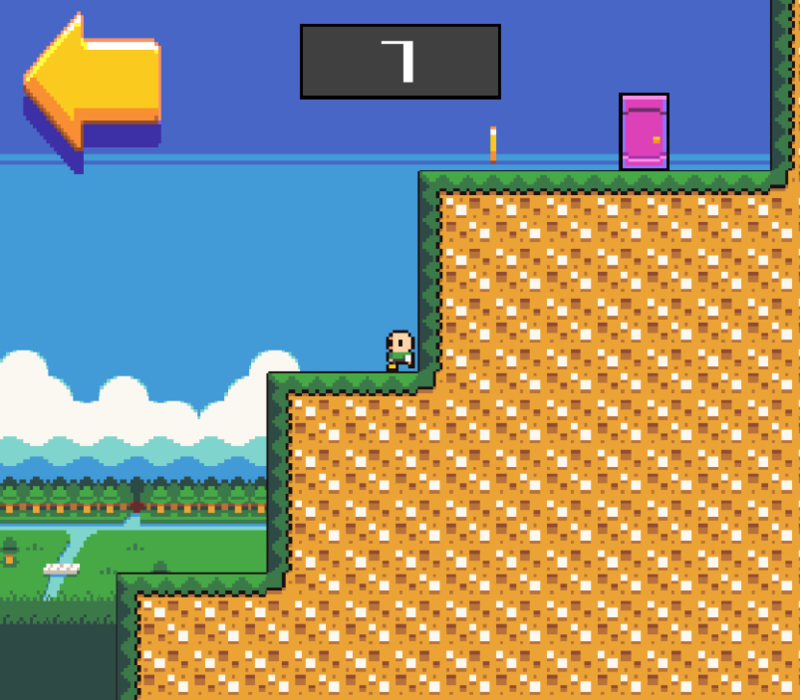 Solid collision allows the player to walk on these tiles without falling through. Tiles with solid collision can also act as walls and ceilings. Background – the Background layer contains tiles that are used as the static background. This layer does not scroll when the camera moves throughout the level, creating the appearance of depth through parallax. As we will explore later, the level-loading code expects these three layers in all Coin Time levels. 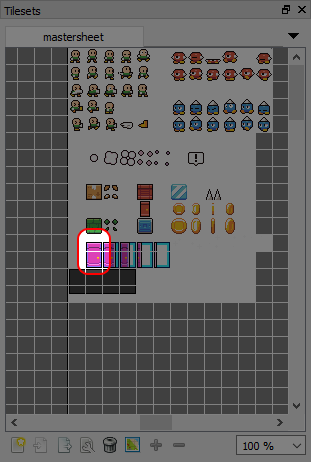 New entities should be placed on the Entities layer. 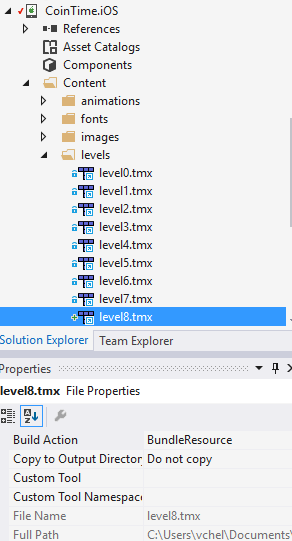 In Visual Studio or Visual Studio for Mac, add the new .tmx file to the Android levels folder. Verify that the file uses the AndroidAsset build action. 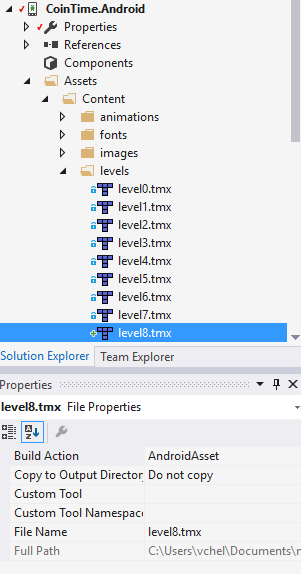 Add the new .tmx file to the iOS levels folder. Be sure to link the file from its original location and verify that it uses the BundleResource build action. 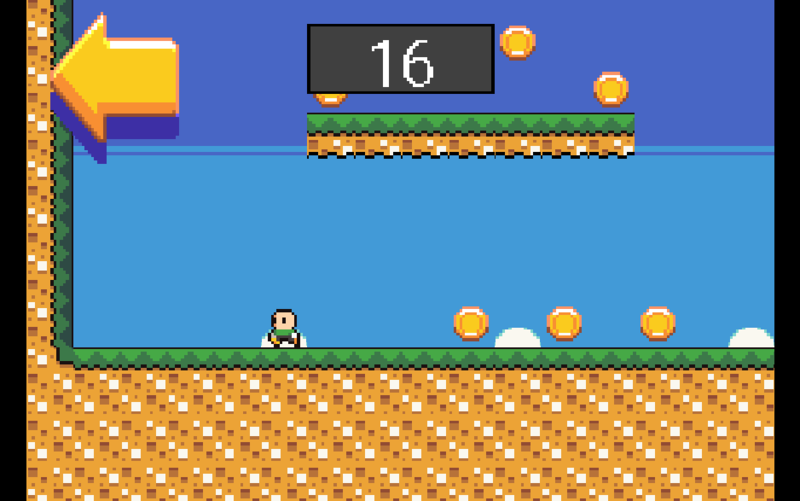 As shown earlier, new levels require no changes in code – the game automatically detects the levels if they are named correctly and added to the levels folder with the correct build action (BundleResource or AndroidAsset). // if we got here then the file exists! CocosSharp does not provide a cross-platform approach for detecting if files are present, so we have to rely on the TitleContainer class to attempt to open a stream. If the code for opening a stream throws an exception, then the file does not exist and the while loop breaks. Once the loop finishes, the NumberOfLevels property reports how many valid levels are part of the project. This method assigns the CurrentLevel property which is used by the GameScene when loading a level. After setting the CurrentLevel, the GoToGameScene method is raised, switching the scene from LevelSelectScene to GameScene. Next we’ll take a look at methods called in GoToLevel. The LoadLevel method is responsible for loading the .tmx file and adding it to the GameScene. This method does not create any interactive objects such as collision or entities – it simply creates the visuals for the level, also referred to as the environment. The CCTileMap constructor takes a file name, which is created using the level number passed in to LoadLevel. 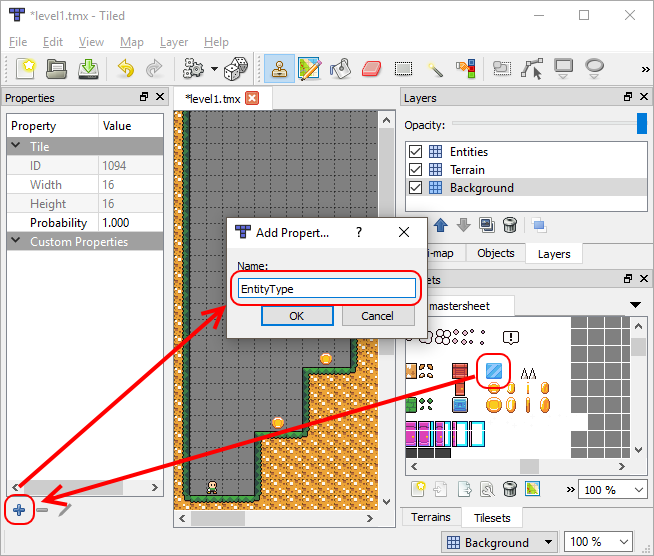 For more information on creating and working with CCTileMap instances, see the Using Tiled with CocosSharp guide. Currently, CocosSharp does not allow reordering of layers without removing and re-adding them to their parent CCScene (which is the GameScene in this case), so the last few lines of the method are required to reorder the layers. The CreateCollision method constructs a LevelCollision instance which is used to perform solid collision between the player and environment. Without this collision, the player would fall through the level and the game would be unplayable. Solid collision lets the player walk on the ground and prevents the player from walking through walls or jumping up through ceilings. 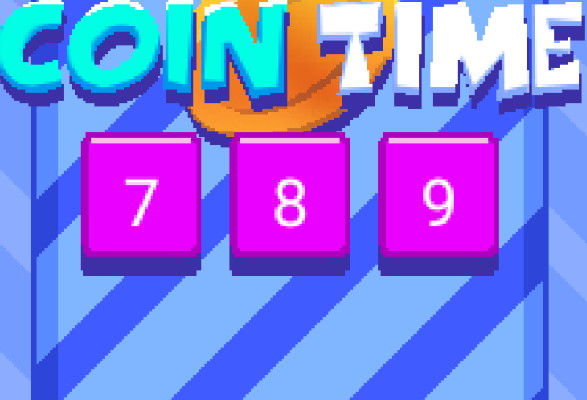 Collision in Coin Time can be added with no additional code – only modifications to tiled files. The foreach loop evaluates each tile property, checking if the key is either EntityType or RemoveMe. EntityType indicates that an entity instance should be created. 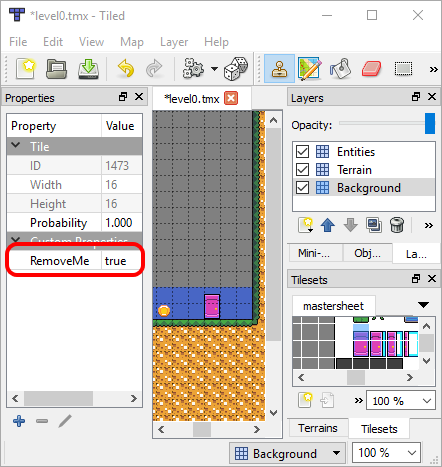 RemoveMe indicates that the tile should be completely removed at runtime. Coin Time uses the entity pattern for its game objects (which is covered in the Entities in CocosSharp guide). All entities inherit from CCNode, which means they can be added as children of the gameplayLayer. Each entity type is also referenced directly through a list or single instance. For example, the Player is referenced by the player field, and all Coin instances are referenced in a coins list. Keeping direct references to entities (as opposed to referencing them through the gameLayer.Children list) makes code which accesses these entities easier to read and eliminates potentially expensive type casting. The only requirement for creating an entity is to create a class which inherits from CCNode. Most entities have some visual, such as a CCSprite, which should be added as a child of the entity in its constructor. CoinTime provides the AnimatedSpriteEntity class which simplifies the creation of animated entities. Animations will be covered in more detail in the Animated Entities section. Instances of the new entity should be instantiated in the TryCreateEntity. If the entity requires every-frame logic like collision, AI, or reading input, then the GameScene needs to keep a reference to the object. If multiple instances are needed (such as Coin or Enemy instances), then a new List should be added to the GameScene class. Once the code supports the creation of the new entity, the new entity needs to be added to the tileset. The tileset can be edited by opening any level .tmx file. When a tile map is loaded into a game, the individual tiles are static objects. Since entities require custom behavior such as movement, Coin Time code removes tiles when entities are created. 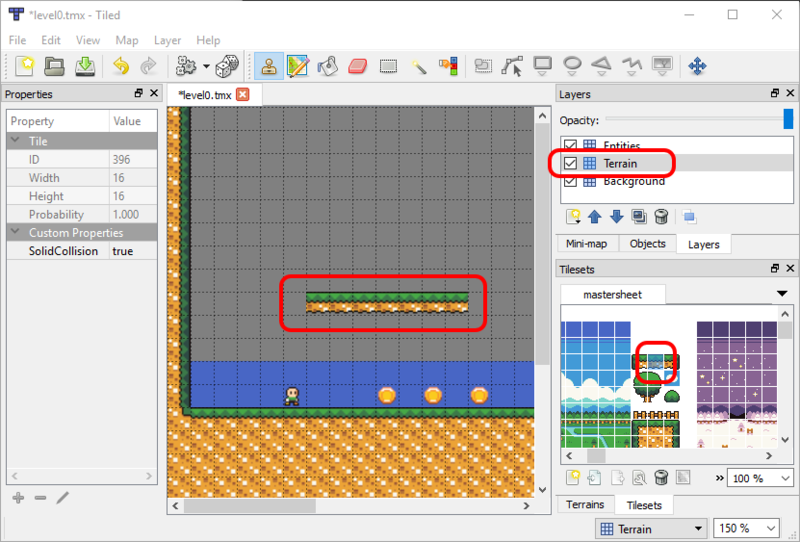 This automatic removal of tiles is sufficient for entities which occupy only one tile in the tileset, such as coins and enemies. Larger entities require additional logic and properties. 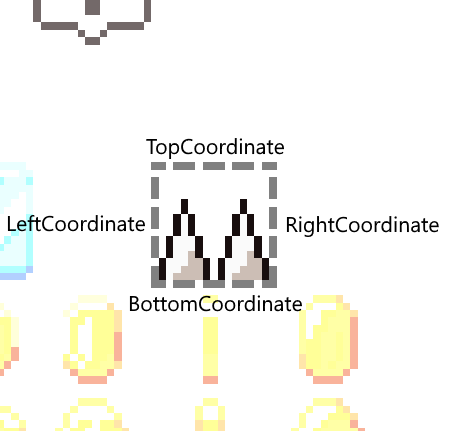 Entities created from tiles are positioned by aligning the center of the entity with the center of the tile. Larger entities, like Door, use additional properties and logic to be placed correctly. Coin Time includes several animated entities. The Player and Enemy entities play walk animations and the Door entity plays an opening animation once all coins have been collected. This animation only contains a single frame, resulting in the Spike entity displaying a static image. Entities can use .achx files whether they display single or multi-frame animations. Additional frames can be added to .achx files without requiring any changes in code. Frames define which image to display in the TextureName parameter, and the coordinates of the display in the LeftCoordinate, RightCoordinate, TopCoordinate, and BottomCoordinate tags. These represent the pixel coordinates of the frame of animation in the image which is being used – mastersheet.png in this case. The FrameLength property defines the number of seconds that a frame in an animation should be displayed. Single-frame animations ignore this value. All other AnimationChain properties in the .achx file are ignored by Coin Time. This guide covers the implementation details of coin time. Coin Time is created to be a complete game, but is also a project which can be easily modified and expanded. Readers are encouraged to spend time making modifications to levels, adding new levels, and creating new entities to further understand how Coin Time is implemented.